Ta-dah! What do you think? I love it! I'm not sad to be giving it away though as it doesn't go with my decor (not that I really worry about that sort of thing!). 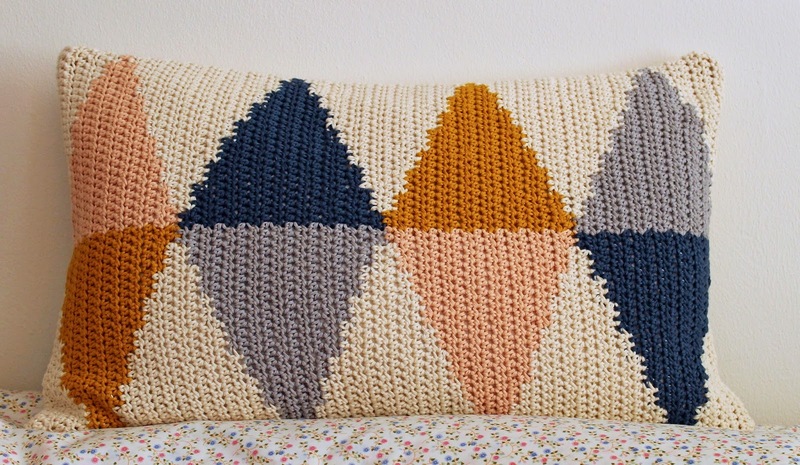 This 'Scandi Cushion' is designed by Kath Webber and was in Simply Crochet issue 23. 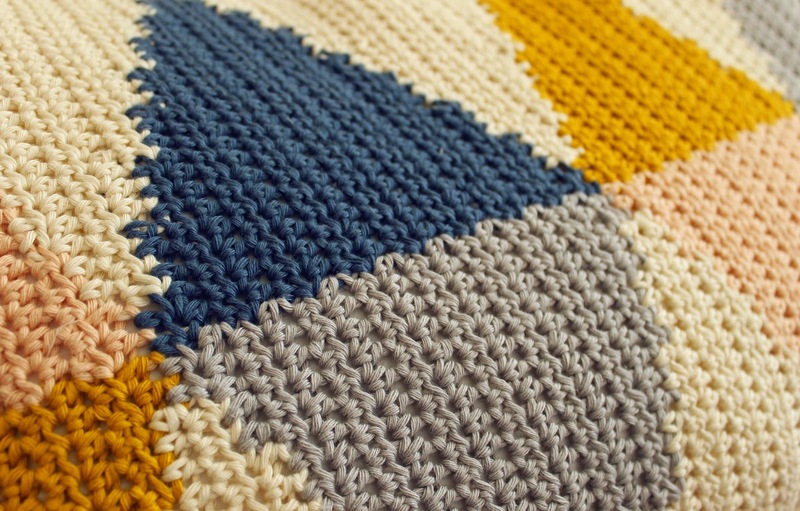 It is crocheted entirely in treble stiches (UK) in Drops Paris cotton, and its big. A pillow size in fact (tip for those not in the know- 40 x 60cm is a standard pillow size- I was searching for ages to find a cushion insert of this size!). All that cotton makes for a heavy, sturdy cushion cover that I hope will stand the test of time. This is a (very late) house-warming present for my sister and her boyfriend who have moved into their first place together, a lovely little cottage in the Lancashire hills. I hope they like it. They have a 'no pink' rule but this is subtle enough don't you think? 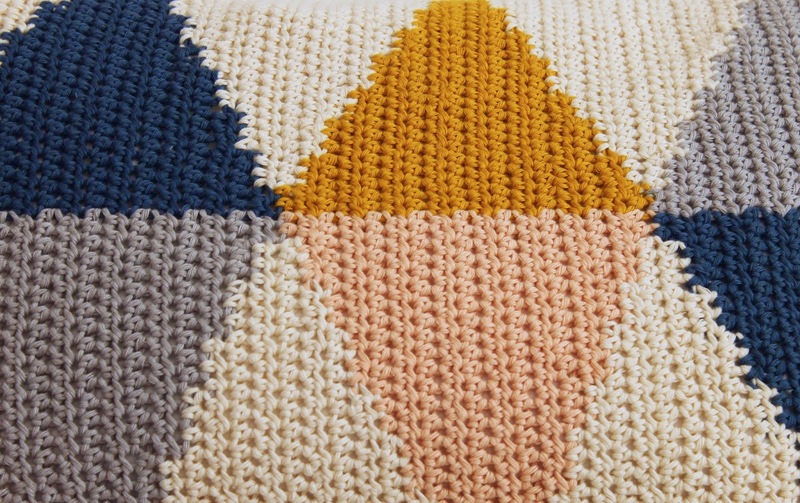 A few more close-ups for you of those lovely rows of treble crochet. Thanks Ellie! I hope so too, going to try crocheting again regardless next week!